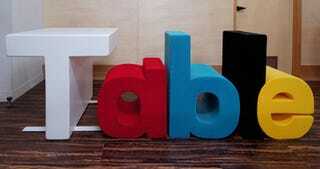 Hey, it's a table and chair set that looks like the word "table." Rearranging the seats could also spell out "a belt" and "bleat." Amusing, but it would be better if I could seat people on swears.